No matter what you do on the Internet, you need to be very aware of how search engines will see your content. This is true of your web pages and blogs, but it is also true of your social media. My friend Penny Pearl (see her on LinkedIn at http://www.linkedin.com/in/pennypearl) showed me a cool tool she uses to check how her content is seen by search engines. The tool is called Wordle.net. You can copy and paste text into it, or enter a URL and let it browse the page. 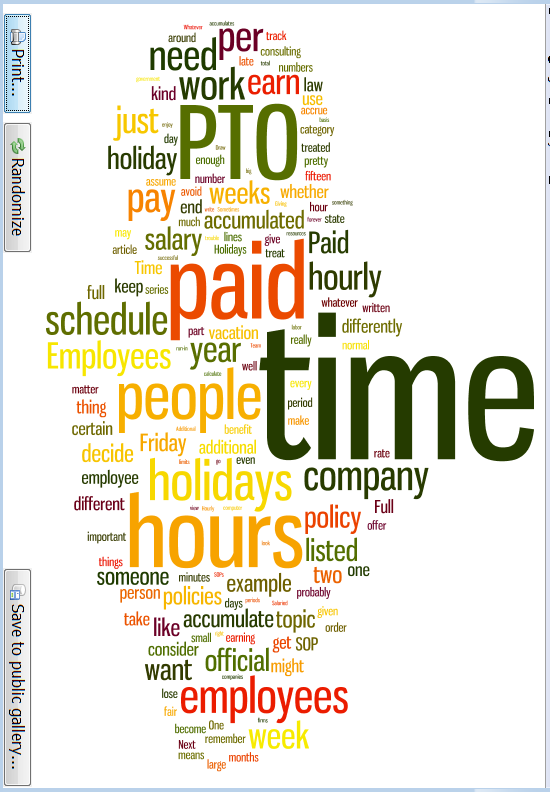 In either case, you will get a pictorial "tag cloud" with all of the keywords. The most prominent words on your page will be the most prominent words on the tag cloud graphic. and everything else is smaller. A search engine such as Google is going to see these key words as the most important words on the page. A sophisticated search engine (such as Google) will also use the rest of the words to determine the larger context of the page. Now consider the next graphic, generated from the same blog post. In this case, I plugged the URL into Wordle and let it browse the web site to determine which words were most important. and everything else is smaller. And really, once you get past Time, the rest of these words all use the same size font. The difference is that the URL contains all kinds of information that is not necessarily related to this specific blog post. How Do You Use This Tool? 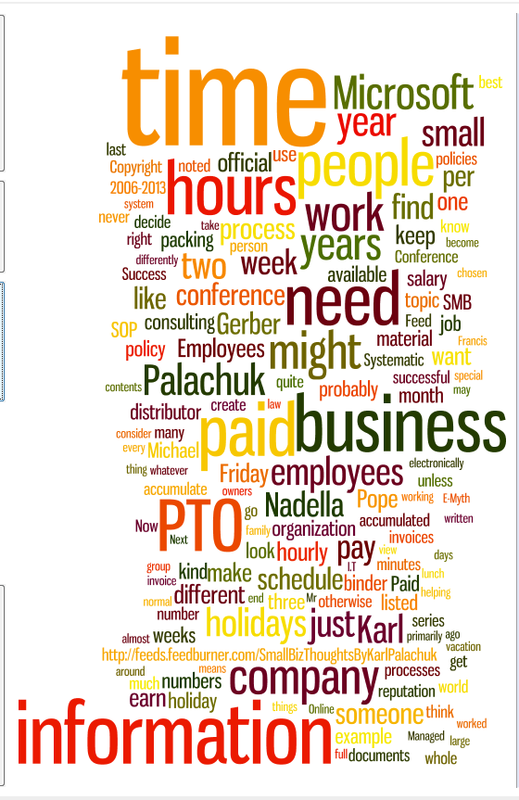 Obviously, you could use this tool to generate a cool tag cloud to post on a web site or out on Wordle so other people might wander onto your web site. But Penny argues that there's a much better use for this tool: Fine tune your writing! Let's say you're putting together a blog post or a press release. You can copy and paste the text into Wordle to see if it is appealing to search engines in the way you intended. Sometimes a few changes here and there can make quite a difference. After all, if you want to show up when people search of a specific word or phrase, you need to write a post that features those words! 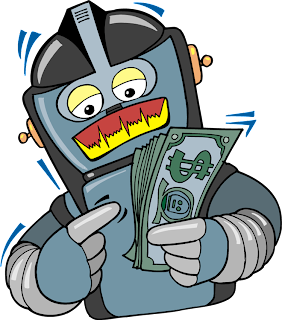 Penny uses this tool to verify that LinkedIn profiles target the right audience. Check it out and see if your press releases, blog posts, and LinkedIn profiles are targeting the right audience! What a great way to check your LinkedIn profile - thanks for sharing! I recently spent some time tweaking my own LinkedIn profile and making sure it is "SEO" friendly - laden with keywords relevant to the work you do - is very important. Great tip here Karl. And not one that I've read of elsewhere. You are worth every penny it takes to feed you on a day in and day out basis! Please send Top Ramen packets to . . .
Building LinkedIn profile for every business will helps to stay in touch of our online users.you shared an impressive tips for business people like me.